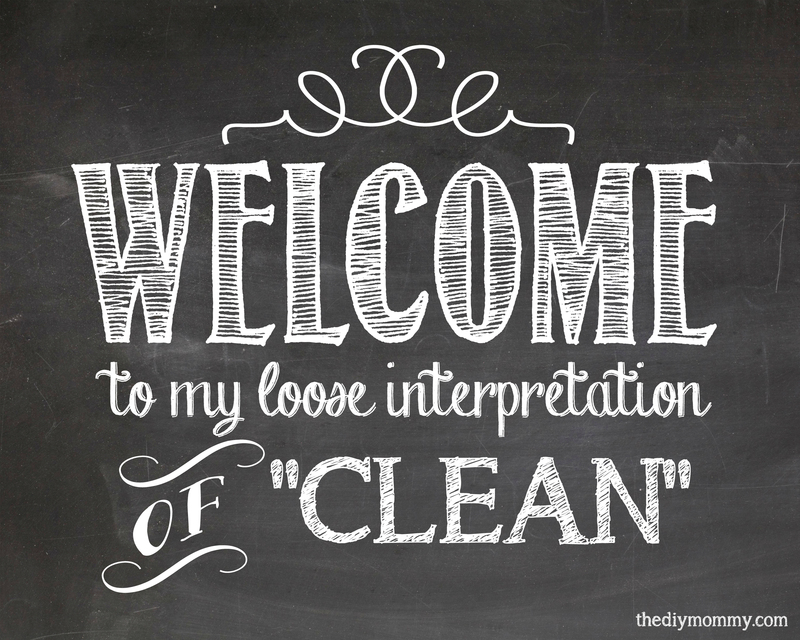 If you’re a buddy of mine (or even if you’ve been following my blog for a little while), you’ll know that I’m a terrible housekeeper. Sew some dresses or craft a banner? Sure! Wash pots or mop my floor? Booooooring! Now that spring is here and I hope to be moving into Our DIY House within the next month (or four?) I want to embark on a nice, deep spring clean of our current garage house. 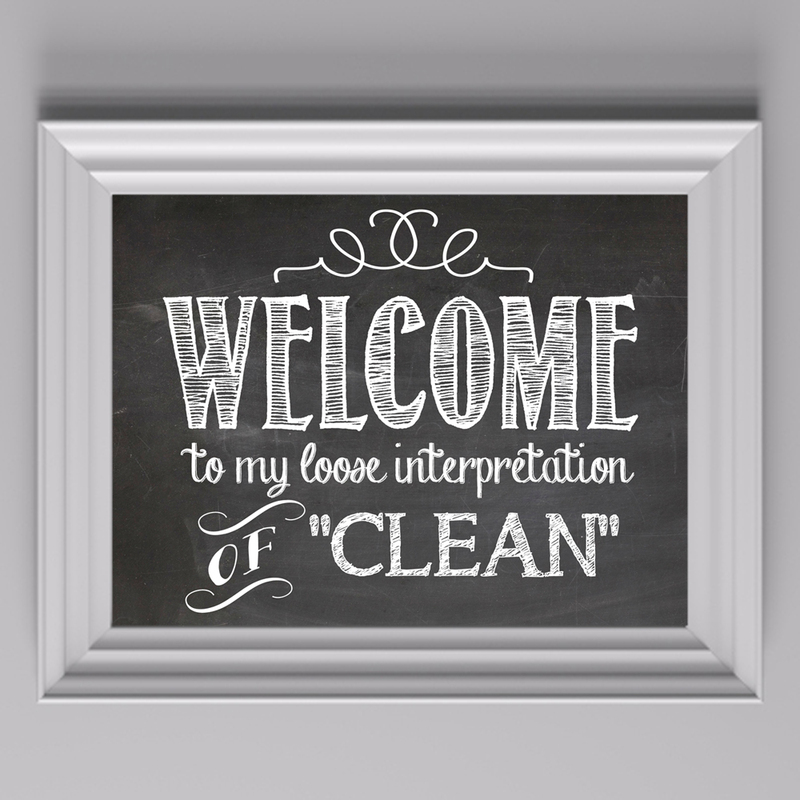 Would you like your own chalkboard “Welcome to my loose interpretation of ‘clean'” free printable? Just click here to download your own 8 x 10″ artwork. I’m a sucker for chalkboard art, and this one was a cinch to make. If you want to try making your own chalkboard sign, simply visit this post over at How to Nest for Less and follow her tutorial. The fonts I used were “Return to Sender”, “Chalk Hand Lettering Shaded”, “Bergamot” (for the dingbats), and “A Song for Jennifer”.